On Friday afternoon, my brother did his first filling on a real person and I received my first filling from my brother. 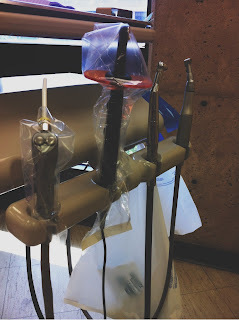 Up until this point, I'd been to the dental school for various appointments - most of which consisted of "treatment planning" (AKA figure out all of the million things that are wrong with my mouth so he can fix them). I quickly learned I had many things that needed attention. 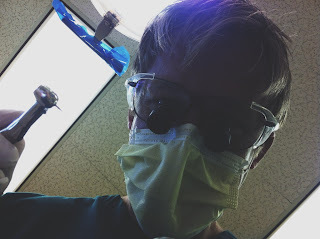 I am an almost 26 year old with too many fillings to count, a crown, and a long road of orthodontics behind me. I am used to hearing, "Well, we're going to have to (insert painful procedure)." Although my mouth is used to all of this, I was still a bit nervous to receive a filling from my own brother. You're telling me that the same kid that pushed me out of the power wheel is going to get inside my mouth with sharp instruments and drills? It was a weird realization. 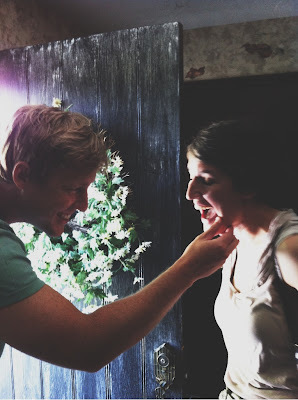 And prior to dental school, you couldn't have paid him enough money to stick his fingers in my mouth. But I know my brother. He is a perfectionist and he only really knows how to do things well. After he gave me a few shots and my tongue felt ginormous, he began the drilling. Of course, as we all know, the worst part about the drilling is the sound of it. Luckily, I was pretty distracted listening to Mark ask for different instruments. I thought, Where did he learn all of this? When did my brother become a dentist?! It was like, "Pass me the lviwoibalf." And the lviwoibalf showed up in his hand. It was all so fascinating. And I'm just so proud of him. Hearing my mom talk about Mark giving me a filling is a story with a lot of emotion attached to it. I totally get it though. Her kids are growing up and we're not only friends, but we're helping one another in very real ways. Very brave of you. How many fillings have you had? It is most essential to every dentist for providing the good treatment. I have Five Dock Back to Active liked this post as a dentist. Hope that we will get some tips about the dental care which will be the effective to people. I was reading slowly the important dental news and info and I saw this really super interesting and super fresh info… Weekend Dental Care Houston Weekend Dental Care Houston, Yes we are the best Weekend Dental Care Houston, Call Now 832-786-4406, treat all patients regardless of the nature of their pro. Several individuals worry to go to a dental clinic as a result of they worry the pain that they may have to be compelled to endure throughout the full method of treatment, for more information click here , for more information click here cosmetic dentistry brewster. You should impose victimisation dental merchandise carrying the seal of the yankee Dental Association, ADA. It's safe to use dentifrice, tooth brushes and floss carrying the aforesaid seal, and that they facilitate keeping away cavities and diseases of the gums, for more information click here dentist delray beach. What a post this is one! I can simply say you're a great submitter. HOUSTON PORCELAIN VENEERS Houston Porcelain Veneers, When you smile, do you worry that someone may notice stained or chipped teeth 832-786-4406 Consult with a natural looking veneers. Nice!!! 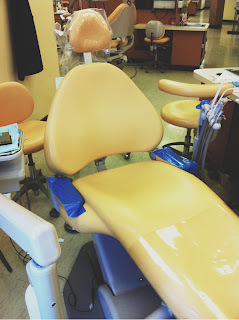 I can say that those equipment are well for providing the best dental care which is very important for me as well and sure that it will be very effective to me as well. keep it up. This is the primary stage of your search, wherever you must specialise in probing for a decent discount dental arrange. you'll begin your search through the web, for more information click here veneers vero beach. I positively know the best way to convey an issue to mild and make it important. See more COSMETIC DENTIST IN HOUSTONN Cosmetic Dentist in Houston, are you looking for the best Cosmetic Dentist in Houston, look no further, call (832) 786-4406 , we keep you smiling and happy. I’m totally inspired by hearing the reading about the brave girl. Last week I was done my filling and that was a bad experience for me. I was very afraid at that time. We provide dental seo services now. Thanks! Some excellent points here. I think that every career has an element of this – but dentistry especially. How you are with your fellow dentists, with hygienists, with your clients – it’s all important to your future. The dental school admission statistics are very important to be keep in mind because this field is going to be very famous. People are preferring this over other. Total reconstruction of the mouth may include treatment of functional problems related to biting, muscles, teeth and bone structure and the use of additional cosmetic procedures. The total reconstruction of the mouth involves advanced restorative all white 3000 treatment designed to address the severe wear of the teeth, pain in the neck, headaches and other problems which have teeth as a starting point. Taking care of your teeth is important for your oral health and overall health. But it can also help make you look good. Choosing the right orthodontist will be the first step to perfecting that smile of yours.